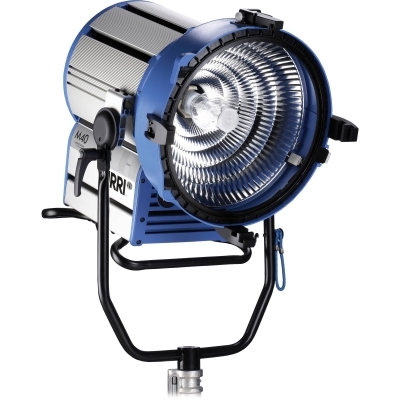 Like all members of the M-Series, the M40 unifies the advantages of a PAR light and a Fresnel fixture. Due to the unique lens-less MAX Technology, the unit is open face and thus very bright, but also focussable over a range of 18 to 52° HPA (Half Peak Angle), casting a crisp shadow. Product Weight: 19,0 kg / 41.9 lbs. Product Size (HxWxL): 670 x 402 x 511 mm / 26.4" x 15.8" x 20.1"
Shipping Size (HxWxL): 660 x 595 x 665 mm / 26" x 23.4" x 26.2"
UV Glass Diameter: 300 mm / 11.81"
Barndoor Size: 413 mm / 16.26"